Plot Summary: The story is about a catastrophic future in which most of the World, resources of Earth are destroyed after a nuclear war. 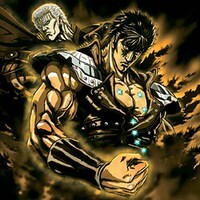 Kenshiro, the next successor of the fighting style Hokutou Shinken, is fighting against one of the new World tyrants Souther, along with his friend Shu. This movie summarizes and originates from some part of the series Hokutou no Ken.